Come meet Sally English at this fabulous Mid Century Modern home in Amberwood Subdivision off Briarlake Rd. Look for subdivision entrance next to Twin Lakes Swim and Tennis Club. 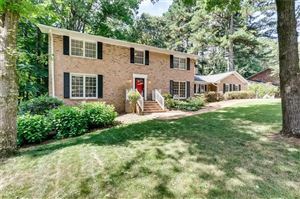 Call or text listing agent Sally English with questions 404-229-2995. Sally English specializes in homes and neighborhoods convenient to Emory University, CDC, CHOA, VA, Mercer, FBI, FEMA, Midtown and Decatur.